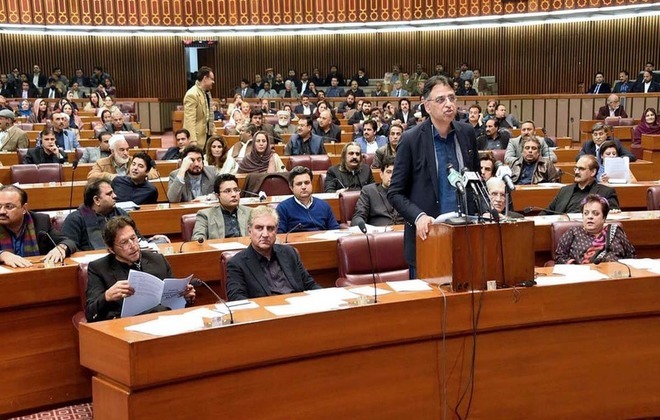 The federal finance minister of the ruling government, Asad Umar presented the second mini budget at the National Assembly on 23 January 2019. When he was delivering his budget speech in the parliament house, he said that it was more than a reforms bill than the finance bill and the government wants to reduce the burden from the poor people and it will increase the taxation on the rich people. Important Points of Mini Budget 2019. 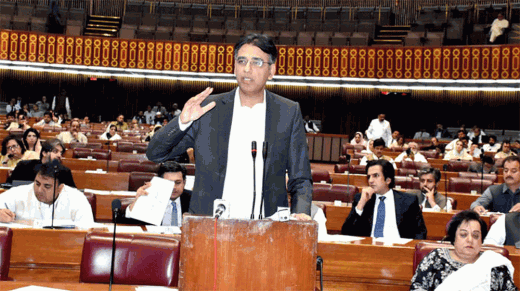 The finance minister announced to eliminate withholding tax on banking transactions for the filers and encourage the culture of taxpaying in the country. The finance minister also announced that the renewable energy products will be exempted from sales tax and custom duty for next 5 years. The government has removed the withholding tax on trading in the stock exchange. The duty on the import of the newsprint paper has been removed. The government has removed the tax on bids for sports franchises so that they can yield profit. The machinery in the special economic zones is also exempted from all taxes. The new industries, which will be established, will be declared exempted from income tax for next five years. The super tax will be eliminated for the non banking companies from July 1. The federal government has decreased 20% of the income tax from loans to SME and agriculture sector. The government has cut taxes on the small marriage halls to just Rs.5000/- from Rs.20,000/-. The finance minister has announced the reduction of import duty on the raw material. The government has proposed to continue 1 pc per annum reduction in the corporate income tax. The non filers can buy the houses up to Rs.5 million but they will have to pay the excessive taxes. The new finance bill shows that the non filers will be able to purchase vehicles up to 1300 cc engine capacity after making the payment of high taxes. Non filers will be allowed to buy the vehicles that have been locally assembled or manufactured. Increase in tax for the vehicles over 1800 cc. The government has announced the reduction of 5% on the duty, which is announced on diesel engines for the agricultural purposes. The federal government has made the announcement for the taxes on the low prices phones, which have been decreased. The tax on the expensive smart phones will be same. This scheme has been simplified into three taxes and slabs. The mobile phones, which have values under $30, will pay custom duty of Rs.150/-. The mobile phones, which have values from $30 to $100, will pay custom duty of Rs.1470/-. The mobile phones, which have values from $100 to $200, will pay custom duty of Rs.1870/-. The mobile phones, which have values from $200 to $350, will pay custom duty of Rs.1930/-. The mobile phones, which have values from $350 to $500, will pay custom duty of Rs.6,000/-. The mobile phones, which have values more than $500, will pay custom duty of Rs.10,300/-. The mobile phones, which have values under $100, there is no levy over them. The mobile phones, which have values from $100 to $200, they will have to pay custom levy of Rs.500/-. The mobile phones, which have values from $200 to $350, they will have to pay custom levy of Rs.1500/-. The mobile phones, which have values from $350 to $500, they will have to pay custom levy of Rs.3500/-. The mobile phones, which have values more than $500, they will have to pay custom levy of Rs.7000/-. The mobile phones, which have values under $30, they will have to pay Rs.70. The mobile phones, which have values from $30 to $100, they will have to pay Rs.730. The mobile phones, which have values from $100 to $200, they will have to pay Rs.930. The mobile phones, which have values from $200 to $350, they will have to pay Rs.970. The mobile phones, which have values from $350 to $500, they will have to pay Rs.3000. The mobile phones, which have values more than $500, they will have to pay Rs.5200. The government has made the announcement for giving easy loans to the low income sector for the housing and the revolving fund of Rs. 5 billion has been introduced for this purpose. There are the promissory notes for the exports that they are allowed to take the loans from banks on the basis of these notes.